Sold. Lake Agnes is in Banff National Park and is reached by following a trail near Lake Louise Chateau. 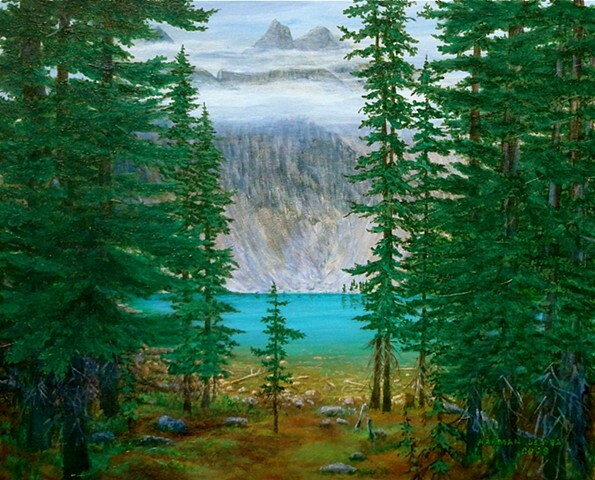 I painted this scene because it is one of the first views of the clear blue waters of Lake Agnes and I wanted to capture a hiker’s first impression as you approach the lake. My wife, Bev, and I hiked into the lake on our honeymoon. There is a tea house to the right of this view.